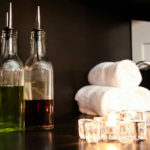 At the Nava Beauty & Wellness Day Spa, we pride ourselves in buying organic materials and creating unique recipes for you. We strongly believe that facials should be food for the body. Raw materials that contain active organic ingredients, such as Buttermilk Powder, Cocoa Powder, Sugar Cane Crystals, and Rose Petals, are just some of the elements that we specially combine for you, to create a customized Spa treatment. 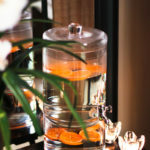 Herbology principles are utilized at our Spa. An Esthetician Expert, with a Herbology degree, is required to perform an adequate facial. We ensure this, in order to provide the real organic experience for you.